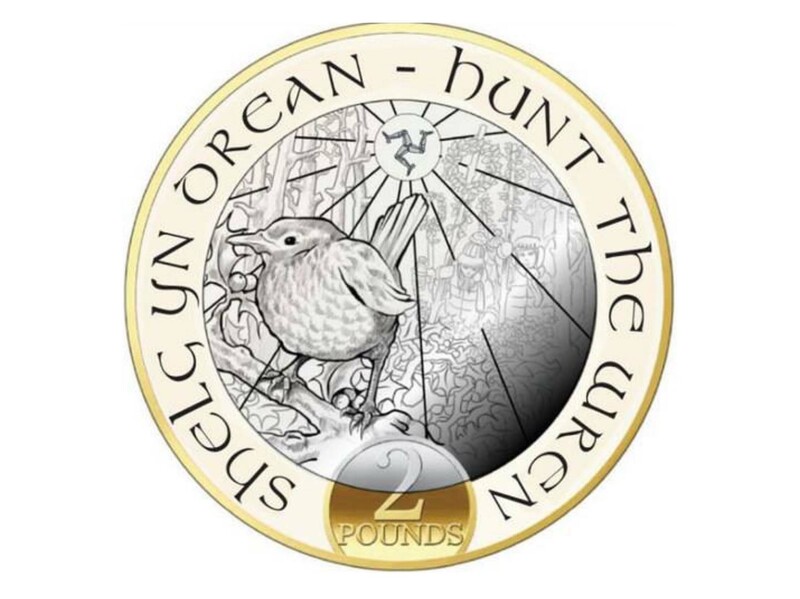 The Isle of Man Post Office has announced the release of a £2 'Hunt the Wren' coin that celebrates one of the most popular Christmas traditions on the Isle of Man. Hunt the Wren is a custom carried out on St. Stephen’s Day on December 26th. Originally the wren were hunted down, killed, and fastened to a pole, its feathers thought to ward off evil in the coming year. Nowadays a group of people travel around villages and towns singing a traditional song and dancing around a decorated wren pole using an imitation bird and selling coloured ribbons to those they meet en route. Isle of Man Stamps & Coins General Manager, Maxine Cannon, said: "We are pleased to present this beautiful and festive £2 coin themed on a Christmas tradition that is still valued on our Island today. The coin perfectly illustrates this custom, making it the perfect Christmas gift for any coin collector or Isle of Man enthusiast." To order the coin, visit the Isle of Man Post Office website.